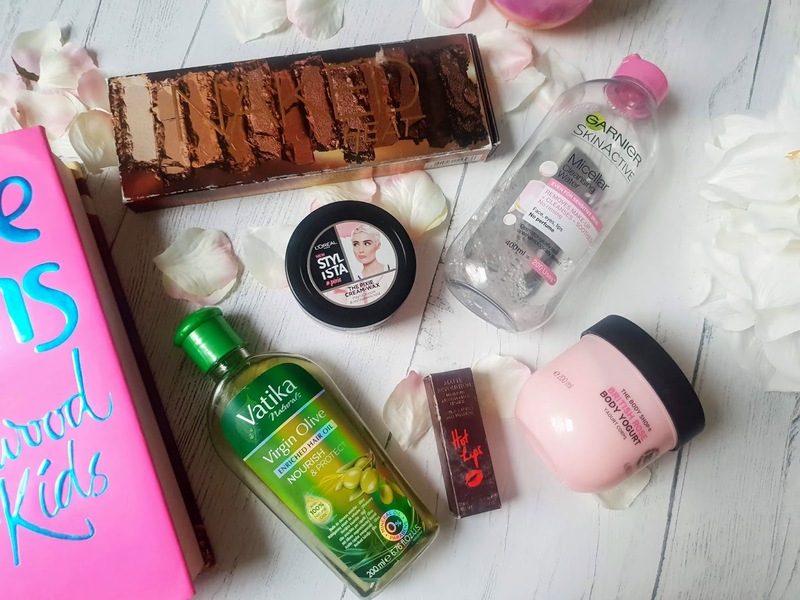 I haven't ever done a monthly beauty favourites blog post before so I thought it would be fun to share what I have been loving this month. Not sure if I will be posting these posts every month but I will post whenever I remember to do them. 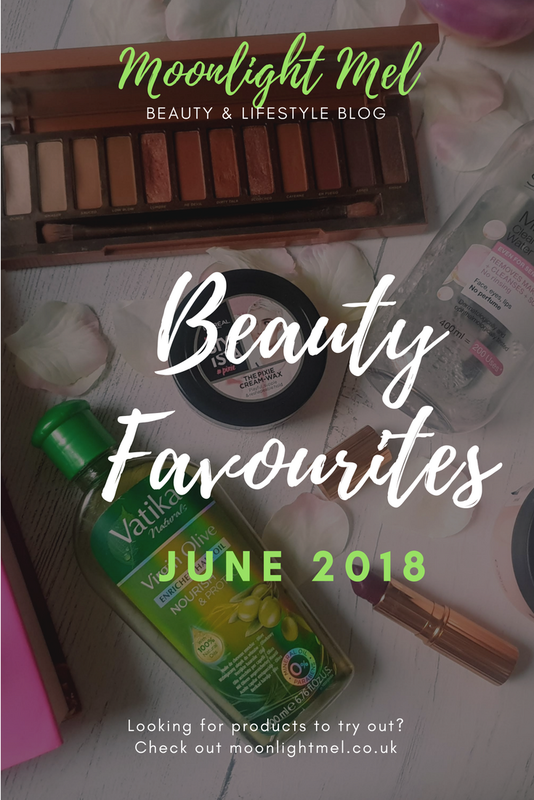 I actually could pick easily what I loved during June as I have used them all so much this month. 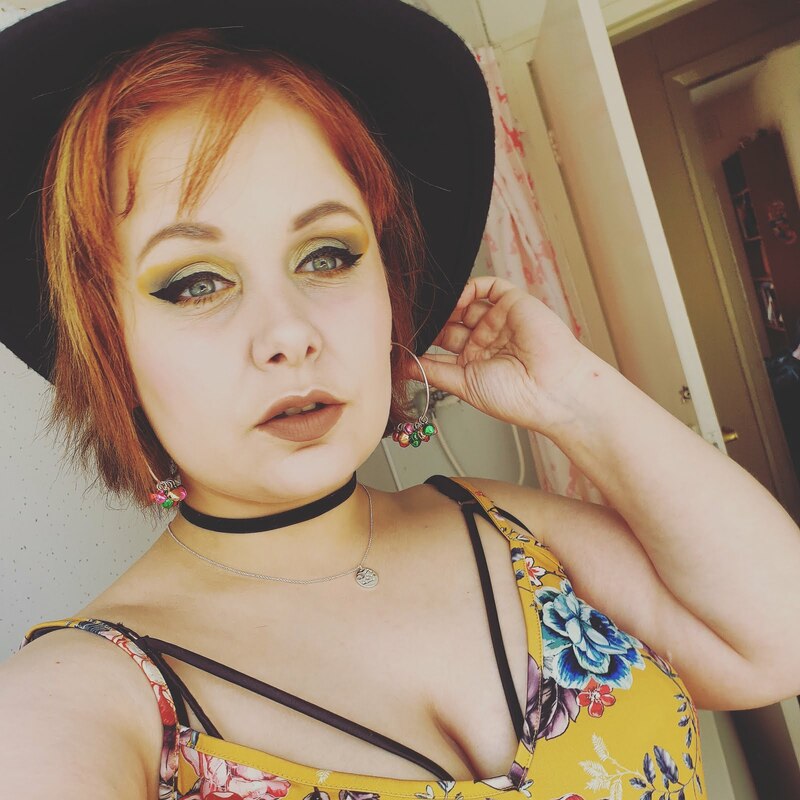 I do think I have a good variety of products that I loved last month including; makeup, skincare and haircare has come in a lot this month since I started to bleach my hair. I got this palette for my 27th birthday this past August. I have used it a lot since then but it got used a lot more this past month because I love using more warmer shade eyeshadows in the spring/summer months. I love using this to make a warm smokey eye look. I also use this as a contour, highlighter and sometimes for my brows too. They are 12 warm shades in this palette such as burnt orange, browns and maroons. It includes a double-ended makeup brush that is a dream to use as it has super soft bristles. I recently got my hair cut into a pixie style and this product makes styling my hair so easy. It adds definition very easily and also holds all day long. I love the scent of this as it contains pomegranate extract. This comes from a variety of new loreal hair styling products. They also now offer so many bright and vibrant hair dyes now too which I am tempted to try out. I got recommended this by a friend a few years back for my dry and damaged hair. I was surprised how well this works at boosting how soft my hair feels and also refreshing my scalp too. I like to add generous amounts to my hair and scalp and leave it on as long as possible ( usually overnight) Its a great pick me up for hair. I like to use this at least once a week to boost some much-needed hydration into my bleached blonde hair. It washes out nicely and you continue to wash your hair with your usual routine. I am in love with this lipstick and it is up there with my all-time favourite lipsticks, it is just so lush. I bought this in February and I have used it countless times since then. It is a matte finish but it so lovely and creamy to apply and then can I just say the pigmentation is just blinding its STUNNING! It is a gorgeous pink and mirrors a lovely blue hue. I can't wait to add more of these lipsticks into my collection, they are a luxury that I like to have as the occasional treat. I don't know how I managed without this before, it takes off makeup off like a breeze without any fuss. It's cooling on the skin and is fragrance-free. It is very simple to use; all you need to do is apply the required amount to cotton pad and wipe makeup off in circular motions. This doubles over as a cleanser too and they are a few different varieties too of this including one with oil inside it. I love the scent of roses and the rose scented products in the body shop are me all time favourites. This is a fairly new product and my goodness I am so glad I bought it when it first came out. It's so soft and smells lovely. Once it is on the skin it melts into the skin with ease and its non-greasy too. I really wish I bought more of these in different scents, they are fabulous. Loved this post! I especially want to try out the naked heat palette by Urban Decay, as well as the Anastasia Beverly Hills Soft Glam palette! Those two look so gorgeous. 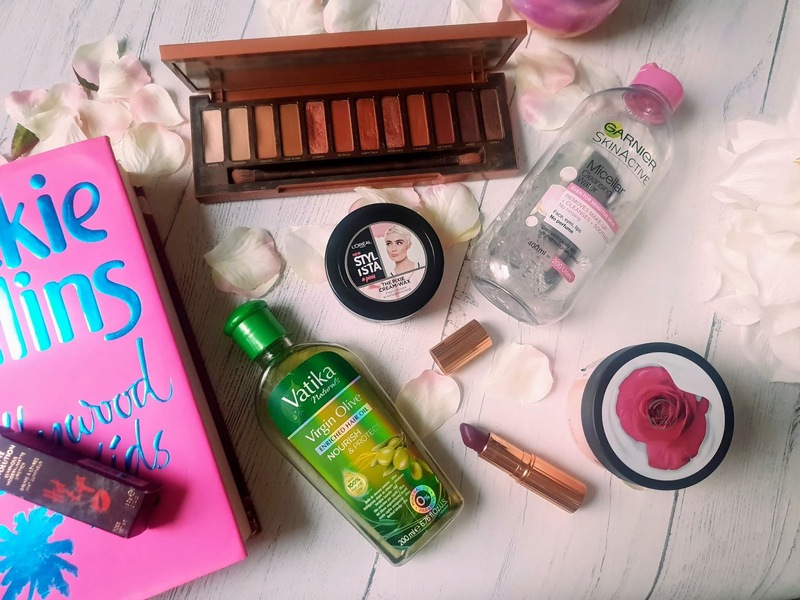 I also want to try the micellar water you mentioned, I've heard really great things about it!